As I’ve shared in the past, I rarely choose sports films as my “go to on a Sunday afternoon” viewing option. But throw in Brad Pitt and I’ll sit through anything. 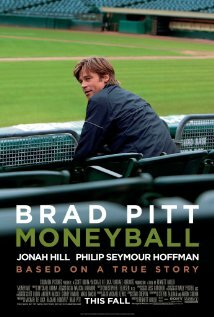 Moneyball turned out to be one of those movies that spray you square in the face, like the dust as a player slides into home base, with multiple connections to my work. 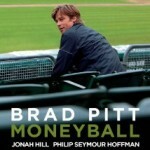 The story line revolves around Billy Beane and Peter Brand, who create a unique and very different way of choosing players to field for their baseball team. In doing so, they challenge the status, cost the franchise less money than the other teams and end up close to winning the league. Near the end of the movie, John Henry says to Billy, “I know you’ve taken it in the teeth out there, but the first guy through the wall always gets bloody, always. It’s the threat of not just the way of doing business, but in their minds it’s threatening the game. But really what it’s threatening is their livelihoods, it’s threatening their jobs, it’s threatening the way that they do things”. I love that line and have now started to say to others when we discuss roadblocks to change and innovation, “The first one through the wall always gets bloody”, followed by a quick recap of the significance. Change and innovation have become wonderful buzz words in the world of education. We know that we should embrace them, model them and create the conditions whereby our students will benefit from them. But how many of us are truly comfortable with change? And more importantly how many of us are comfortable leading the charge for change and innovation? 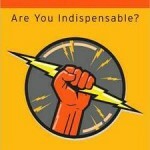 In challenging the status quo it is important to understand why others hold on so tightly to past practice. Will a change somehow negatively impact their day to day interactions? Will it somehow diminish their past contributions to the organization? Will the new procedure diminish the power/control that they currently have? Or is it a case that they just need more evidence to support the change? 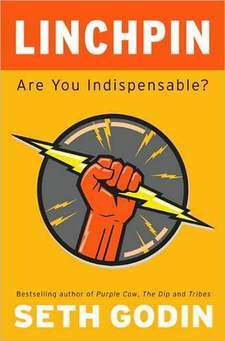 On a related note, over the March Break, I had an opportunity to read Seth Godin’s Linchpin and within the pages of his book he shares his vision of an artist as “someone who uses bravery, insight, creativity, and boldness to challenge the status quo.” Godin creates a detailed image of a linchpin, as someone who the organization needs and without that type of employee the status quo would never be challenged. In combining the two references, one must be brave (willing to get bloody) in order to challenge the status quo. What are some of the initiatives that you’d be willing to get “bloody” for?